Kerry-Anne and I once spent a chilly new year's eve on top of Table Mountain - it really does get pretty cold up there at night. If you ever have the opportunity to go up the mountain at night, I'd highly recommend it. Only, try to get up before the sun sets and bargain on spending about two or three hours up top... with a warm jacket! The city lights look absolutely beautiful from the top of the mountain at night. 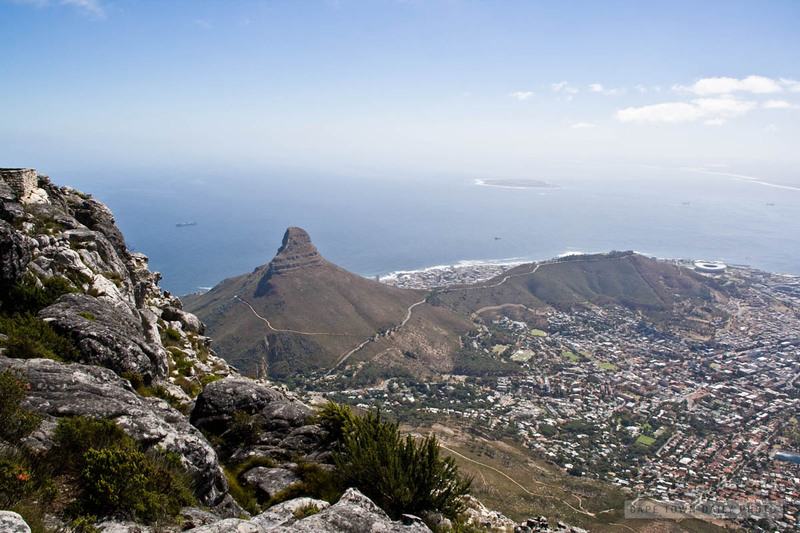 Take a look at this 360° photo taken by Lee Casalena from the top of Lion's Head (which you can see in this photo). Isn't it awesome? Imagine seeing this in real life! Posted in Activities and tagged lion's head, table mountain on Thursday, 31 March, 2011 by Paul.